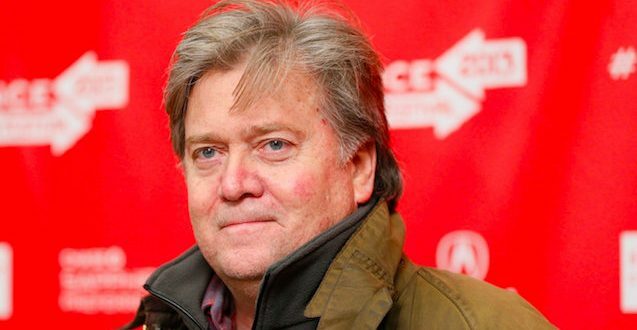 Wall Street Journal Editorial: Trump Must Fire Steve Bannon Over Breitbart's Attacks On H.R. McMaster - Joe.My.God. The right-wing Wall Street Journal editorial board on Wednesday called out top White House political strategist Steve Bannon for allegedly coordinating a series of attacks on National Security Adviser H.R. McMaster. The editorial then said that new Chief of Staff John Kelly, whom it credited for bringing some measure of discipline to the White House, should consider ousting Bannon from his role. The editorial, which is behind a paywall, goes on to concede that if Bannon were to be fired, he would like use Breitbart to attack Trump himself.